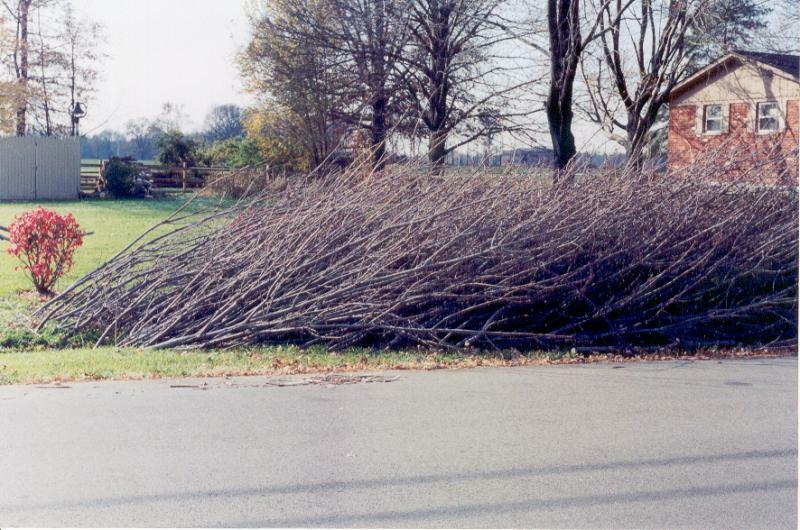 The City of Monticello offers curbside brush pick-up at residences located within the city limits, free of charge. Pick-up will take place on or around the first Tuesday of every month. Brush pickup runs February (weather dependent) through December. Only brush will be picked up- no grass clippings, tree stumps, landscape timbers, or building material of any kind will be accepted. Materials must be piled in one direction, parallel with the street, away from obstructions such as fences, mailboxes, water meters, parked cars or fire hydrants. If any brush that is outside of the parameters described above is found, City Staff will leave a "door hanger" notifying the resident that corrective action is needed to enable the brush pickup. If you have a great quantity of landscape debris to be picked up, you are encouraged to contact the Public Works Department at 217.762.7512 or Email, so they may make arrangements to have the appropriate equipment available.